Osteopaths consider each person as they are, a truly unique developing individual. They consider both the emotional and physical aspects of the person. How the body uniquely adapts to the many emotional and physical stresses that life brings. Many stresses take place over a long period of time or conversely brought about abruptly by trauma, injury or disease. On your first visit the Osteopath will spend time taking a detailed medical history. Medical history is important as it includes valuable information about your lifestyle or previous pain or injury. Osteopaths also offer added advice on nutrition, ergonomics, exercises and healthy living. The recommendations are aimed to help reduce the “maintaining symptoms” ( reasons you don’t get better) and designed to improve your health and quality of life by reducing pain. The Hatfield Osteopath will make you feel at ease during your consultation and explain everything that is happening. Do ask questions at any time if you are unsure or have any concerns. Although referral by a doctor is not necessary, patients are encouraged to keep both their GP and Osteopath informed. If they are unwell or have any other health issues or worries with your permission the Osteopath may write to the Gp. Good communication is often helpful as it means their medical records are current and complete. 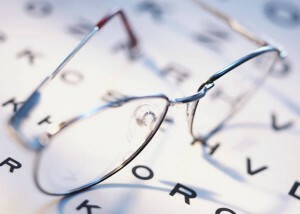 Ongoing clarity means the patient receives the best possible care from healthcare practitioners. Osteopaths are well trained and skilled in medical examination and clinical skills such as blood pressure, neurological examination and heart and digestive health. Thorough clinical skills are often used to identify any underlying conditions which may present. Your Osteopath will know through training and experience and clinical tests if a patient needs to be referred back to the GP or consulting specialist. Osteopaths use their trained sense of touch and eyes to identify areas of pain and restriction within the body. They will assess areas of weakness, tenderness, limitation or strain through, clinical observation, touch and movements. The examination feedback will help the Osteopath to make a diagnosis and subsequently a treatment plan. The Osteopath will discuss the treatment options and plan with you, Its essential that you fully understand and are happy. Estimating the likely number of sessions (most of our patient have shown considerable improvements after three visits) needed to treat your condition effectively. Osteopaths may start any treatment by releasing and relaxing muscles and gently stretching stiff joints, using gentle massage and rhythmic joint movements called articulations. Osteopathy stimulates the body’s ability to heal itself by improving the function of the bodies musculoskeletal framework. Many techniques used by Osteopaths encourage blood flow to restricted areas and directly stimulating tissue repair. The particular range of techniques your Osteopath uses will depend on your problem and how sensitive you are. Hands-on treatments are skilled, specific and safe. Formerly the term ‘Osteopathic Treatment‘ suggested to most people the use of a “cracking” or “clicking” style manipulation. The highly trained procedure consisting of a gentle, direct high-speed thrust applied to a spinal joint. The technique designed to normalise muscle and joint function by releasing local reflexes and increasing flexibility. Manipulation and Osteopathy stimulate the production of “morphine”, also known as endorphins the bodies anti-inflammatory. Osteopathic techniques also improving blood flow to the problematic local area. Osteopaths have a wide range of treatment techniques to choose from, and while some conditions may require direct manipulation and firm massage treatment. Some styles of Osteopathy tends towards gentler, more subtle methods. The style of osteopathic treatment all depends on you the patient and the presenting condition. Every treatment is safe, thought out and considered. Cranial Osteopathy or Cranial Sacral Therapy uses very gentle methods to correct disturbances to tissue mobility in the skull and throughout the body. Cranial osteopathy can help with a wide variety of problems. Cranial osteopathy involves very gentle osteopathic manipulations on the head and spine. The treatment works by gently stretching the sutures in the skull, ligaments and tendons. Cranial can improve the range of movement in joints, free trapped nerves and help with many other conditions. Many people have visited cranial osteopaths with their babies or recommending that others do so to solve sleep and feeding problems that don’t always respond to traditional medicine. It is also useful for people who require a gentle approach. The gentle approach is especially important for people with long-term pain and discomfort relating to old physical injuries or birth trauma. Cranial is also great for relieving everyday stress and tension. Hatfield Practice offers a free newborn baby cranial check to help resolve any newborn baby worries. The Hatfield Practice cranial osteopaths treat babies up to two weeks old for free.